There’s a new documentary out called “Divided”—you can check it out at http://dividedthemovie.com/. It talks about the percentage of kids leaving the church today. Experts are saying that somewhere between 40% to 88% of Christian kids are abandoning the faith. Not exactly a rousing endorsement of how we do children’s ministry, that. Then there’s a new Pew Research study that shows that Mormons did better on a test of Christian knowledge than white evangelical Protestants did…and white evangelical Protestants did only slightly better than atheists on the test. For example, only 67% of white Protestants knew that the Golden Rule isn’t part of the Ten Commandments. Hm. Of course it’s possible to downplay the results like one columnist in Christianity Today did by noting that the Last Judgment is not a quiz show where you have to get the answers right and saying, “Jesus compares all of us to sheep, who are not known for their smarts.” But it’s probably not accidental that Mormons did better on the test and that Mormonism is growing at a faster rate. Not much good can come from ignorance, any way you look at it. A generation ago we could (and did) blame the declining numbers on outdated music and the services being too formal and not enough emphasis on age-appropriate programming or outreach to seekers or getting men back in church or… Well, we blamed it on a bunch of things. But now that most worship is led by guys with holes in their jeans playing guitars while congregation members sip coffee and kids go off to “the children’s experience,” it seems like we may have been blaming the wrong stuff. What if it turns out that the problem isn’t related to the form of our faith—things like casual versus formal worship services—but rather to the foundation of it? What if we simply don’t know how to proclaim the gospel well? And what if the problem is not just that we don’t proclaim the gospel enough (though that’s probably true, too) but that we who are proclaiming the gospel may not be capturing the full essence of the gospel message in our proclamation and subsequent discipleship and, thus, we may be producing weak anemic Christians who become more immune to the gospel than attuned to it? 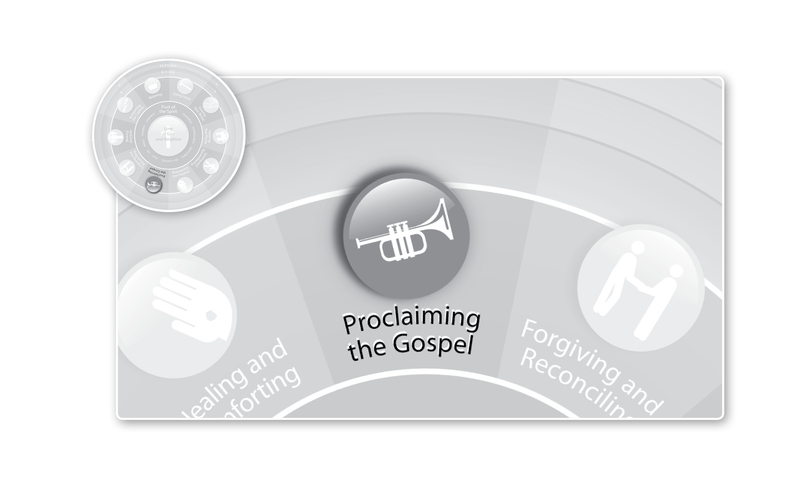 So in the spirit of semper reformanda, let’s consider seven ways we can reform—and thus dramatically improve—our proclamation of the gospel. This entry was posted in Uncategorized and tagged Christianity, Comprehensive Maturity, Discipleship, Gospel, Proclaiming the Gospel, Whole Life Offering. Bookmark the permalink.